There’s tons of different brands of essential oils, with huge price variations, and most will say “100% pure essential oil.” How can you differentiate and make an informed choice? Here’s your compass. 1: determine what you want the oils for. If you’re just looking for a nice smell (air freshener, perfume), pretty much anything will do. The oils geared to cosmetic/perfume use are the cheapest, although often synthetic. If you want food-grade essential oils, some times called extracts, such as peppermint oil for your brownies, lemon oil for some tasty lemon bars, or orange oil for a cake, you will need an oil that is good enough that is deemed safe to ingest. The FDA calls these “GRAS” (generally recognized as safe), it’s extracts from edible plants and fruits, lacking harmful substances, but may contain some synthetic compound (here you will find in the ingredients declaration some chemical-sounding names such as linalool, citral, cinnamal, menthol – components of a whole natural oil, which may or may not come from a plant). A higher step would be what many companies call therapeutic grade essential oils. These are also safe to ingest but have also passed laboratory tests to ensure purity, lack chemicals/pesticides/heavy metals, and toxicity. Very few companies run additional tests to verify skin sensitivity, optical rotation to check chirality (that the molecules are turned the same way as the human body’s molecules), specific gravity, refractive index, carbon 14. Another idem is where the plants grew (lemons grow better under the sun in Italy than, say, in a greenhouse in Sweden just to put an example), how long they were allowed to mature, when they were harvested, how long and at which temperature they were distilled, etc. Ideally the company’s claims and tests will have been verified by a third party as well. So when the company tells you it is safe, you can believe it. Ideally the oil bottle or documentation should tell you whether it’s safe for topical (on the skin), aromatic (smelling/inhaling) or internal (drinking/eating) use. Not all plants can be eaten and likewise not all oils, even if pure, can be ingested. It’s important you know what you can safely put on your skin and what you should not. Never attempt to apply an oil in a way the producer of it tells it’s not safe! You should also be able to find out whether that particular quality of oil is adequate to put on the skin pure, or whether it needs to be dilluted in a carrier oil. Dilluted or non-dilluted (as well as internal or external) have different ways of entering the body and being metabolized, so it’s important to know what you can do or not. This is especially important if the oil is to be used by a child or sick/weak person. A word on chemistry. The FDA and EU laws enable a company to label an oil as “100% pure essential oil” provided the 4-5 main components of the oil are present in the right percentages, according to a mass spectrometry or gas chromatography test. Thus, to be labeled as Mentha piperita according to AFNOR, ISO or EC standards, peppermint oil must cointain 35-45% menthol, 10-20% menthone, 4-9% menthyl acetate, 1-17% menthofuran and 3-7% 1.8-cineole. This may be synthetic in nature and cannot be proven in basic testing, and fillers may be present altering the final quality and safety. While unethical, it is legal to advertise a blend as a mixture of essential oils when in fact it contains only some fractions or components (synthetic or natural) of whole oils. Back to what was stated above, if you are looking for a single or blend of essential oils to have a deep effect on your physical health, mental state, or emotions, you will clearly get the best results from whole oils rather than fractions of them. Some companies label their oils as organic, others do not and still qualify as such (since the plant grows in countries where organic certification is not available): the end product does not contain any pesticides or heavy metals. What few companies explain is under which conditions the raw materials for the oils were grown or harvested. Did the workers get a fair price? Did they use child labor? Something worth finding out, and also take into consideration how doing it or not affects the final price. 5: What kind of store is best to buy from? Some people prefer buying from a physical store. This has the pro of convenience, but may not always be well-assorted – they can often order in for you though. In a shop that does not have a lot of turnover the products may be on the shelves for many months. You have a physical person to give advice, but this person may or may not be an expert on essential oils. Some older people prefer the convenience of paying cash. Online shops, either from a retailer that carries many brands or buying directly to the brand, have the pro of getting a more fresh product (especially if you buy straight from the producer) and large assortment; the cons are shipping costs (larger if you buy from abroad), waiting time, and for the most part nobody to give you advice. Online shopping often requires a credit card, which some people are uncomfortable with. Several network marketing companies specialize in essential oils or carry them in their offer of products. While a product purchased through network marketing may sometimes be a little pricier than at a shop, what few people realize is that if the intermediary is doing a proper job, you will get very valuable advice on which oils to get and how to use them. Your consultant or distributor will be available for questions and may direct you to reliable sources of information if you want to go more in depth. Also, most companies offer good price deals for recurrent shopping which make these oils very convenient in the longer run. And shipping costs are often local and thus lower than from a regular online shop. On the other hand, direct selling is no guarantee that those essential oils are of top quality. 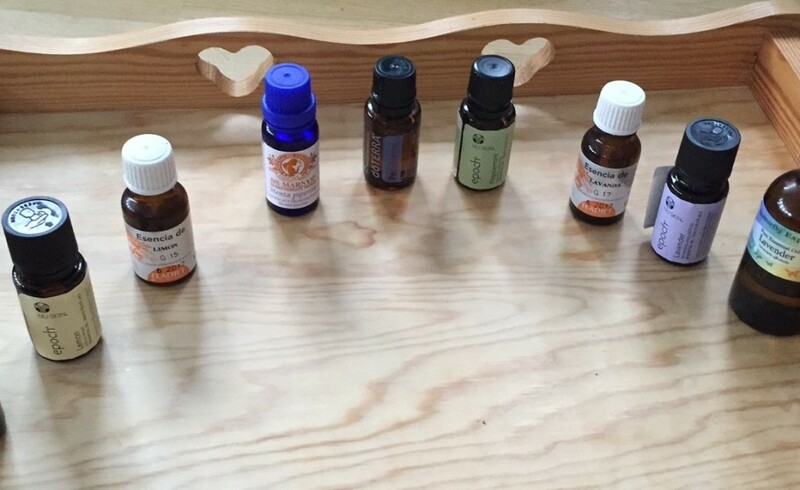 We have verified that some brands, although expensive and produced by companies that keep a very high quality in other product they carry, regarding essential oils they have not used a therapeutic grade, so make sure you verify the characteristics before starting to use them, as per the points above. Do your due diligence before buying! Reading the label in the bottle is not enough, and comparing prices is definitely not enough. Find out as much as you can from the company and see that one way or another you are getting proper information and indications on how to use the oils in the best way for your own needs and concerns. This week’s live video has been about diversifying income for better peace of mind and stability. Do contact us if you want to chat and exchange ideas! This week’s live video was on consistency in life (professional, personal, health, etc). In this week’s FB Live video, Carina is sharing her personal history with exercise and how to make it more effective. What are your feelings about exercise? Please share!